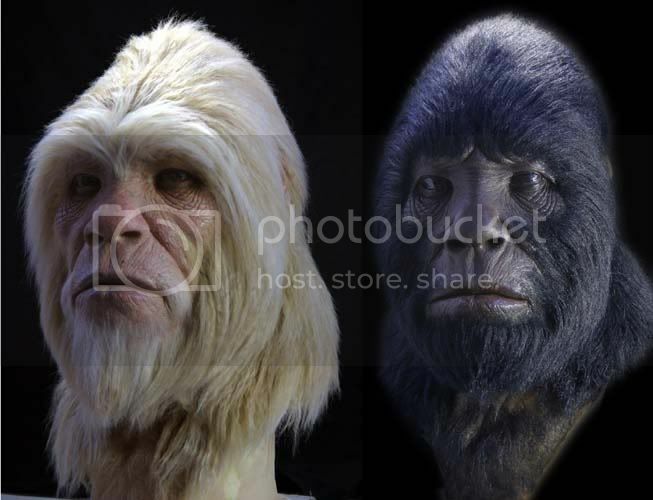 I found these masks/busts that brings a little more realism to both the Yeti and Squatch. The Squatch matches up pretty closely to the rendering on Morgan's book. Kid, the darker one in those pictures looks like Patty from the Patterson-Gimlin film. I went through the recording again and tried to put together a starting point to where the bodies are. Here is what I heard. They are near or beside Elm Creek or the Elm fork of the Red river on the Texas Panhandle. We know the property is or was on a ranch. So now we need to start mapping where Elm creek runs. For that we should be able to find a nice satellite map. Anyone else catch any additional detail?